Can you think of a better way to immerse yourself into life in Panama City than by heading out on a beach trip, and exploring the county’s 1,500 miles of shoreline? The Isthmus of Panama is blessed with alluring, azure-hued beaches on the Pacific Ocean and the Caribbean Sea. One of the benefits of being based in Panama City is that a gorgeous beach is often just a hop, skip and a jump away. The surf breaks of Coronado are an hour from Panama City driving and the island of Contadora in the Pearl Archipelago can be explored after a 90-minute ferry ride from the city. Many choose to situate themselves in Panama City to take Spanish lessons, tempted by the nightlife, the charming old town of Casco Viejo, and the bustle of Central America’s most progressive capital city. While you would have spied the water in photos of Panama City’s skyline, there aren’t actually any beaches within the city limits. Here are our pick of the best beaches close to Panama City. The most accessible island to Panama City, Taboga is the perfect day trip on a platter. Affectionately called “island of flowers” by Panamanians, Taboga is a mere 30-minute ferry ride from Panama City’s Amador Causeway. The journey there and back costs $20 with Taboga Express. There are 4 daily departures to Taboga at 8AM, 9:30AM, 11AM and 3PM (and one additional departure at 4:30PM on weekends and Public Holidays). For the way back, it’s 8:45AM, 10:15AM, 2:30PM, 4:30PM (and an extra 5PM ferry on weekends and holidays). Ensure you bring your ID or passport with you. See the flowers and more with a hike through one of the islands many paths. Don’t be surprised if the beautiful surroundings fill you with inspiration: even Paul Gauguin came to live on Taboga, not once, but twice. There are no cars on Contadora, only golf carts. 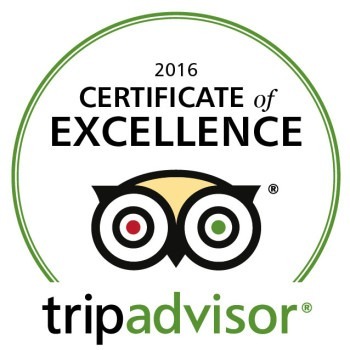 There are also stunning secluded beaches, gourmet dining, and lush accommodations. “Contadora” means bookkeeper or counter in Spanish. Before returning to Spain, the conquistadors allegedly used Contadora as the grounds to take stock of all their inventory, granting the island its unique name. Till today, its reputation as a magnet for the financially blessed remains intact. There are grand mansions dotted all around the equally grand beaches. Previous visitors include John Wayne and Jimmy Carter. Contadora sits within the Pearl archipelago and is about a 90-minute ferry ride away. Tthere are two companies with services to and from Contadora. Ferry las Perlas in Punta Pacifica departs at 06:30AM and returns at 3PM. The full price is $132 for adults and $105 for kids. A one-way journey is $66. Sea las Perlas‘ ferry terminal is on Amador (Club de Brisas de Amador to be precise). Boarding starts at 6:45AM and departs every day at 7:30AM and returns from Contadora (Galeon Beach) at 3:30PM daily. A roundtrip costs $90 ($70 for children) and a one-way ticket is $49 for adults and $39 for kids. Send and email to info@ferrypearlislands.com or call (507) 391-1424 to reserve. Every now and then, travel deals to the Pearl islands can be found on Oferta Simple, Panama’s answer to Groupon. The ferry trip is an experience in itself. One may also take a 20-minute flight there with Air Panama. Return flights hover at around around $134 . The pearl islands are a must-visit. Mainly because there are 90 of them, many unnamed, and many unspoilt. Veracruz is one of the closest beaches to the capital and is a short Uber/ Cabify ride away (around 30 minutes depending on traffic) at a cost of around $7. It may not be the best beach for swimming, but it makes up for this by offering great opportunities to eat very well and party even better. Veracruz Beach bar Veri Veri hosts Panama’s answer to Thailand’s Ko Pha-ngan Full Moon party every month on the Saturday closest to the full moon (next party February 24 2018). Postcards come to life in Guna Yala, otherwise known as the San Blas islands. One for every day of the year, San Blas is an archipelago of 365 breath-taking islands in the northwest of Panama, which are inhabited by the indigenous Kuna tribe who control all tourism to the region. There are countless local tour organisers that can whisk you to this slice of paradise: Cacique Cruiser, San Blas Adventures, Guna Yala Explorer, San Blas Dreams and Go2SanBlas to name but a few. You’ll usually pay just over $100 per day, regardless of which tour organiser you choose. The trip involves driving to Cartí by 4X4 and then continuing your journey by boat to your chosen island destination(s). 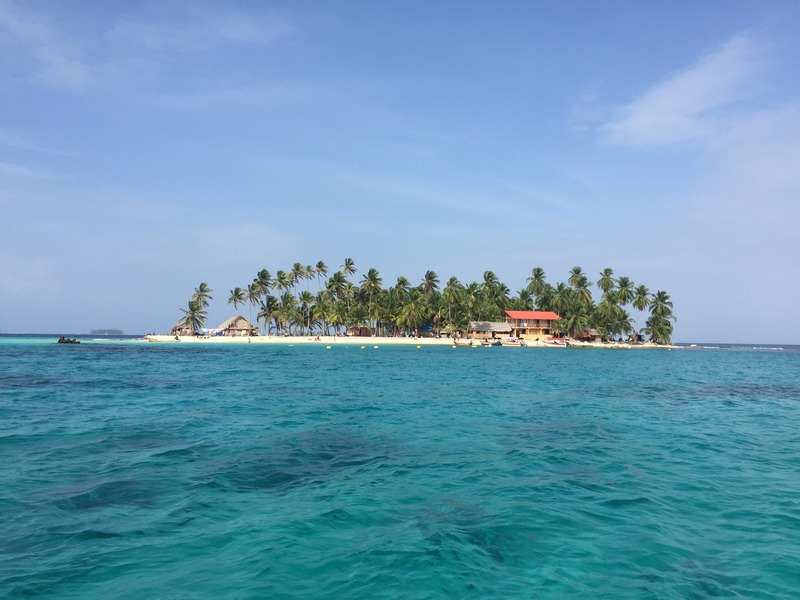 San Blas brings a new meaning to island hopping. The archipelago has around 365 islands and islets; you can often genuinely swim from one to another, taking in the friendly marine life along the way. The waters here are so pristine that snorkel gear is essentially optional. San Blas’ beauty really does call for a reality check. Five hours away from Panama City in the Azuero Penninsula, Playa Venao is a surfer’s beach through and through. Venao’s waves enthral surfers of all levels, from all around the world. It’s also home to several major surf competitions. Come here for a distinct mix of party and adventure. You can get to Venao by flying to Pedasí with Air Panama and continuing your journey by land (a 45-minute drive). Taking the bus is the more affordable way to go. Head to Panama City’s Albrook bus station and take the bus to Las Tablas. The bus ride is 4 and a half hours and will most likely be air-conditioned so bringing a sweater is highly recommended. From Las Tablas, there is then one direct bus to Venao which you can take or catch a quick taxi from there to complete your journey. Approximately 90km West of Panama City lies this expansive black and grey sand beach. Coronado accommodates city escapees hoping to surf and mingle with the growing number of expats and foreigners setting up shop (or home) here permanently in Coronado’s gated communities. Coronado is about an hour’s drive from the city or you can take a bus from the Albrook bus terminal. There are several buses every day and the ticket costs around $4. To return to Panama City, buses run up until midnight. On the way back, buses fill up very quickly (particularly on weekends) so give yourself ample time to get back to the city if you are day-tripping. A laidback beach trip from Panama City, where the surf’s good and the living is easy: that’s El Palmar in a nutshell. You can get there in an hour and a half if driving, or you can take the bus from Panama City towards Penonomé and hop off in San Carlos. Then you can take a taxi down to the beach for about $2 or walk for ten minutes. Palmar is 10km to the west of Coronado and has been known to see a gorgeous purple sunset or two. Palmar is one of the best places to surf and learn to surf, close to Panama City. Panama Surf School might be a good place to start. This Colon port city is home to UNESCO World Heritage sites as well as some tranquil beaches for snorkelling and extreme relaxation. In Portobelo you’ll find several scuba-diving schools as well as Panama’s first customs building. It may be relatively sleepy today, but its history is anything but. Portobelo was once a pirate city, attacked several times by pirates such as British Sir Francis Drake, lured there by all the looted Spanish treasures from the Inca Empire (Portobelo was a trans-shipment point during the Spanish Colonial era). An hour and a half drive from Panama City, in the province of Colon, Portobelo could make an eye-catching stopover on the way to visit Isla Grande or Isla Mamey. Getting there by bus entails going to Albrook station and taking a bus to Sabanitas. From there you change for the bus to Portobelo. The very last bus to Portobelo departs in the early evening around 6:30PM. Also in Colon, Isla Mamey is 2 hours from Panama City and is another contender for the Panamanian island beauty Olympics. You’ll be tasked with bringing your own picnic gear and supplies here, as there are no restaurants; just endless powdery white sand and blue water; perfect for a barbecue, to camp, or stargaze come nightfall. Isla Mamey is a 5-minute boat ride from Puerto Lindo. You can reach Puerto Lindo by taking the bus to Colon from Albrook station. Once you arrive in Colon, stay within the terminal and take the bus with “La Guaira” written on it. Once there, a lancha (motorised boat) will get you to Mamey in no time. There are also tour operators like Keteka that organise day trips there and back. Another Colon gem, you’ll be struck by how colourful Isla Grande is, and we aren’t just talking about the water. Isla Grande (not to be confused with Playa Grande) is close to Portobelo and is about two and a half hours away from Panama City. You can also get there by catching a boat at the harbour in the town of La Guaira. The island is only 300 metres away from there. In less than two hours from Panama City, you could be relaxing at Cajones de Chame. While not technically a beach, you can swim, jump and play to your heart’s content at this natural canyon. Don’t forget your (waterproof) camera. The road there is rather turbulent so going with a 4X4 is recommended. Any of these beach trips from Panama City would be suitable to immerse yourself, practice your Spanish, connect with Panamanians and this fine soil they call home.